Nothing contained in these Terms and Conditions will affect or is intended to affect or restrict the statutory rights of a consumer. a) ''Company'', ''us'' , ''we'', are: Brackmills MOT centre, it's successors and assigns. b) ''Completion'' means in the case of a contract for work, the date of company notice to the customer that the work has been completed or, in the case of a contract for the supply of goods, the date those goods are supplied. c) ''Contract'' means the contract between the company and the customer for the sale or supply of work and or Goods. d) ''Customer'' means the person, firm of company at whose request the work is to be performed or Goods supplied. f) ''Genuine parts'' means parts manufactured by or for the manufacturer. g) ''Goods'' means any goods or replacements therefore to be supplied by the company under the contract whether or not supplied in conjunction with work. h) ''Manufacturer'' means in respect of a vehicle, the manufacturer of the vehicle. I) ''Order'' means the instruction written or otherwise received by the company from the customer for work to be done or goods to be supplied. j) ''Price'' means the price or goods and/or charge for the work payable by the customer to the company. k) ''Vehicle'' a vehicle delivered to the company as bailee upon which the customer has requested the company to carry out work or provide an estimate of work. m) ''Working days'' means all days other than Saturdays, Sundays and public holidays. 1.3 Headings are for convenience only and shall not affect the contraction of these terms; the masculine shall include all genders and the singular shall include the plural; any reference to such statutory provisions is a reference to such statutory provisions as amended or re-enacted from time to time. 1.4 Any typographical, clerical or other error or omission in any estimate, order, acknowledgement of order, invoice or other document issued by the company shall be subject to correction without liability on the part of the company. d) In the case of goods only, the company proceeding to fulfil the order. 2.2 The contract is personal to the customer and the company shall not assign the benefit of the contract without prior written consent of an authorised representative of the company. 4.2 If the customer delivers the vehicle to the company for the purpose of an estimate being prepared and does not either give instructions for the carrying out of the work or collect the vehicle within 7 days from the date of the estimate the company shall be entitled either to store the vehicle itself or have it stored by third parties (as the company may in its absolute discretion think fit) and to charge the customer the cost of such storage for the period from the 8th day after the date of the estimate until the customer collects the vehicle. The customer shall be deemed to have given instructions to the company for the storage of the vehicle for such period and the company shall be constituted a bailee for reward and obtain a lien against the vehicle for it's storage charges during such period, such storage charges shall be paid before the vehicle may be removed from the premises at which it it being stored. 4.3 Unless otherwise agreed in writing by an authorised representative of the company if, during progress of the work, it appears that the estimate will be exceeded by a significant amount, the company will cease performing work and notify the customer of the anticipated cost and will not resume performance of work until it has received the customer's express permission (which need to be in writing) to do so. 5.3 If prior to completion of the work and/or delivery of goods the price increases in accordance with condition 5.2 by more than 5% (or such other figure as specified by the company) the company will notify the customer of the increase the company intends to pass on to the customer and the customer may by express instruction in writing cancel and pay to the company the price for works carried out and/or goods delivered in whole or in part up to the time of receipt by the company of such notice of cancellation. 5.4 The contract may not be varied without the express consent in writing of an authorised representative of the company, any variations so agreed shall not constitute a new contract, but shall be deemed to be an amendment of this contract. 6.1 Dates and time given for the completion of work and/or delivery of goods are estimates only. In relation to this condition 6 only time is not of the essence. The company will use reasonable endeavours to perform work or supply goods within the time specified (if any) to the customer. Subject to condition 11 the customer shall not be entitled to reject work and/or goods completed or delivered later than the estimated date. The company may suspend or delay delivery and shall not be liable for any loss, damage or delay occasioned by failure to deliver goods and/or complete work on the estimated delivery date or time. a) delivery of goods shall be at the company's premises stated overleaf. b) payment of the price shall be in cash on delivery, Payment by credit card will not be accepted unless by prior express agreement of an authorised representative of the company. The company reserves the right to vary the price, as a condition of accepting payment by credit card. The customer will pay as part of the price any additional amount reasonably specified by the company should the company in its' absolute discretion to accept payment credit card. 7.2 The company shall notify the customer when goods on order from a supplier are ready for collection. If the customer shall fail to pay for and take delivery of such goods within 7 days of such notice the company shall (without prejudice to its other rights and remedies under the contract) be entitled to treat the contract as repudiated and to sell the goods. 7.3 Goods ordered from stock shall be delivered upon payment of the price. 7.4 Upon completion of work the company shall advise the customer that the vehicle is ready for collection and the customer shall be obliged to pay for work and/or goods supplied and collect the vehicle. The customer will pay the customer for all work done and goods supplied and any storage charges and all other amounts payable to the company under these terms before the vehicle may be removed from the company's premises. 7.5 If for any reason work requested by the customer is not carried out in full the company will charge a reasonable amount for any work actually done and then current price for any goods supplied. 7.6 If the customer shall fail to pay the price and/or collect the vehicle within 7 days after completion the company shall be entitled to store the vehicle itself or to have it stored by third parties (as the company in its absolute discretion may think fit)and to charge the customer with the cost of such storage for the period from the 8th day after completion until the vehicle is either collected by the customer or sold pursuant to condition 7.7, Such storage charges shall be added to and form part of the price, the customer shall be deemed to have given instructions to the company for the storage of the vehicle for such period and the company shall be constituted a bailee for reward and obtain a lien against the vehicle for its reasonable storage charges during such period. 7.7 If the customer is in breach of any obligation hereunder to the delivery of the vehicle, the company my serve on the customer notice pursuant to the Torts (interference with Goods) Act 1977 of its intention to sell the vehicle upon the expiry of three months from the date of such notice if the customer shall fail within such period to pay all monies due to the company and take delivery of the vehicle the company may sell the vehicle. Upon any such sale the company shall pay the balance of the proceeds of sale to the customer after the deductions of all monies due to the company, interest on overdue amounts and all cost of sale. 7.8 Interest will be charged on all sums due under or by way of damages for breach of the contract at the rate of 2% per annum above the base rate of Halifax Building Society from time to time in force and shall be calculated and accrue on a day-to-day basis from the date on which payment fell due until payment whether made before or after judgement has been obtained. 7.9 The company may at any time at its absolute discretion appropriate any payment by the customer to such outstanding debt as the company thinks fit not withstanding any purported appropriated to the contrary by the customer. 7.10 The company reserves the right at any time to set off any sum payable by the company under this or any other agreement between the company and the customer and any sum payable by the customer to the company under the contract. 7.11 The company reserves the right at any time at its absolute discretion to demand security for payment before continuing with performance of an order. 7.12 VAT will be charged on the price at the rate ruling at the time of delivery of the goods or completion or (if different) the basic tax point (as defined in regulations governing VAT from time to time in force). 7.13 Without prejudice to the provisions of condition 7.8 and to the company's other rights and remedies foe breach of contract or otherwise, the company reserves the right to make single late payment charge to cover the company's administrative expenses of recovery (up to but not including issue of proceedings). Such charge shall be added to and form part of the price if the customer does not make payment in full for the goods or work on or before the due date in accordance with this condition 7. The amount of such charge shall be calculated at 2.5% of the total invoice price and shall be shown as a separate item on the invoice to the customer but payable only in the event of late payment. 7.14 Subject to condition 11 no order which has been accepted by the company may be cancelled by the customer except with consent of the company and on the terms that the customer indemnifies the company in full against all reasonable loss (including without limitation, loss of profits) cost, damages, charges and/or expenses incurred by the company as a result of cancellation. 8.1 Goods are at the risk of the customer as soon as they are delivered by the company to the customer. 8.3 The customer may use retained goods and acknowledges that he shall be in possession or retained goods as bailee for the company. 8.5 The customer irrevocably authorises the company to enter upon its premises for the purposes of inspecting retained goods and identifying them as the company's property. (ii) if there is presented a petition for the winding up of the customer or for the appointment of administrator or receiver of the whole or any part of the assets or undertaking of the customer. (iii) if there is appointed an administrator or receiver of the whole or any part of the assets or undertaking of the customer. (v) any event or process of the like nature to those set out in paragraphs (I) to (iv) above in any jurisdiction. 8.7 Upon suspension, revocation or determination of the power of possession and use of retained goods under this condition the customer shall place all the retained goods in its possession or under its control at the company's disposal and shall be deemed irrevocably to authorise the company to enter upon any of its premises with or without vehicles for the purpose of removing such goods. 8.8 The repossession of retained goods by the company in accordance with this condition shall be without prejudice to all or any of the company's other rights or remedies against the customer. 9.1 The company is only responsible for loss or damage to any vehicle or its accessories or contents caused by the negligence of the company or its employees. Expect in respect of death or personal injury, the liability of the company to the customer shall be limited to direct loss (excluding direct and indirect loss of profit and/or any other kind of economic loss), damage, cost or or expense and shall be limited to the price in respect of any one event or series of connected events. 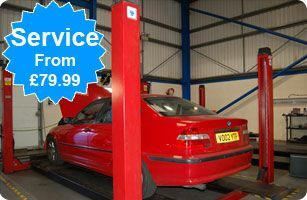 9.2 Notwithstanding condition 9.1 the customer is strongly advised before delivering the vehicle to the company to remove from the vehicle any items of property not related to the vehicle. The company shall not be liable for any loss or damage to any such item remaining in the vehicle . 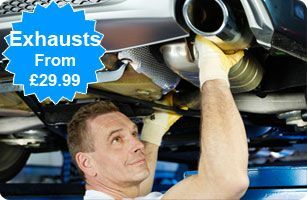 10.1 All parts replaced during performance of work, except those that have to be returned to manufacturers or suppliers under warranty or service exchange arrangements, will be retained by the company for return to the customer upon collection of the vehicle. If the customer does not ask to take possession of such part when collecting the vehicle, replaced parts shall become the property of the company to dispose of as it deems fit. (ii) if it is a contract falling within 11.1(b) up to 7 working days after the date of the contract being concluded by sending a written notice of cancellation to the company. 11.2 In the event the customer is acting as a consumer in a distance contract as detailed in condition 11.1 concerning the supply of work, and the company commences such work within 7 working days of the date of the contract being concluded, the customer will not have the right to cancel. (b) the difference, if any, between the value of the goods when returned and the price. 11.4 If the customer cancels the contract in accordance with this condition 11 and the company has received the price from the customer, the company will within 30 days of the date of receipt by the company of the notice of cancellation, reimburse the customer for a sum equal to the price, or part thereof received minus a sum to the aggregate of the amounts referred to in condition 11.3(a) and 11.3(b). (d) the customer pays the company current handling charge for the goods, set at 30% of the selling price. 13.1 The company shall be entitled to appoint sub-contractors for the performance of its obligations under the contract. 14.1 Upon delivery of a vehicle to the company the customer shall immediately inform the company of any circumstances or matters known to him which render the vehicle unsafe or in a hazardous condition. 14.2 For the purpose of section 2 of the consumer protection Act 1987, the producer of genuine parts is the manufacturer, whose address is available from the company on request. 14.2 The instructions for use, cautionary notices and other technical notices supplied to the customer with the goods have been prepared by the relevant manufacturer of the goods. The customer should read such notices carefully, the company shall not be liable for any loss or damage suffered by the customer through the customer's failure to read and comply with instructions specified in such notices. 15.1 The Company assigns to the customer the benefit of the applicable manufacturer's warranty (if any) for the goods supplied and/or fitted to the vehicle. (b) if the goods have been subject to misuse, negligence or accident or used in a vehicle other than on a public road or for racing, rallying, pace making, similar sports and/or any other type of use not normally considered as normal domestic use. © the installation of a part into goods, the use of which has been approved by the manufacturer or the alteration of the goods in a manner not approved by the manufacturer. (e) the repair or maintenance of the goods by the person other than a retail dealer in the manufacturer's vehicles or a person authorised by the manufacture. (b) no warranty can be given that the new paintwork will match existing paintwork exactly. (b) such defect has arisen from faulty materials employed, workmanship carried out and/or goods supplied by the company, then the company shall remedy the defect and if necessary, supply replacement goods and/or parts. Any goods and/or parts so replaced shall become the property of the company to dispose of as it deems fit. 15.6 The company's liability for the defective work and/or goods is limited in all circumstances to remedying the work and/or goods and supplying (where necessary) replacement parts and/or goods. Completion of such remedial work and/or supplying of replacement parts and/or goods shall constitute fulfilment of the company's obligation under the contract. 15.7 The company's liability under this condition applies only to defects appearing whilst the vehicle has been used and driven in proper manner and serviced in accordance with the manufacturer's recommendation and particular (but without limitation) the company shall not be liable in the case of defects arising out of normal deterioration, failure to follow the manufacturer's instructions or improper or faulty handling of the vehicle. 15.8 The warranties contained in this condition are to any statutory rights implied of a purchaser of goods and/or services. 16.1 The company shall not be liable to the customer if unable to carry out any provision of the contract for any reason beyond its control or owing to any inability to procure parts or materials required for the performance of the contract. 16.2 The company shall notify the customer as soon as reasonably practicable after circumstances preventing performance arise. During the continuance of such a contingency the company may, within its absolute discretion, withhold, reduce or suspend performance of its contractual obligations as far as prevented or hindered by such contingency without liability for any loss or damage whatsoever suffered directly or indirectly by reason of any such withholding, reduction, or suspension. 16.3 Should such contingency continue for more than one month either party may cancel the contract and, subject to payment for any goods supplied and work done pursuant to the contract, the customer may collect the vehicle and the parties' respective obligation under the contract shall be deemed to be discharged. 17.1 No waiver of any of the company's rights under the contract shall be effective unless in writing signed by an authorised person on behalf of the company. A waiver shall apply to the specific circumstances in which it is given and shall be without prejudice to the enforcement of the company's rights in different circumstances or the recurrence of similar circumstances. 18.1 Any notice under these conditions shall be properly given if in writing and sent by first class post or emailed to the address intended recipient as stated in the contract or to such address as the company and the customer from time to time communicate to each other as their respective addresses for service and shall be deemed served, in the case of postal notice, on the expiry of 48hours from time of posting and in the case of email, on completion of transmission by the sender. 19.1 A person who is not a third party to this contract has no right under the contracts (rights of third parties) Act 1999 to enforce any term of this contract but does not affect any right or remedy of a third party which exists or is available apart from that Act. 20.1 English Law shall govern construction and operation of the contract and the customer agrees to submit to the exclusive jurisdiction of the English courts. 20.2 Each of these conditions and each paragraph hereof shall be construed as a separate condition; should any provision hereof be found to be invalid of unenforceable or unreasonable restriction of the company's liability then such provision shall apply with such modification as may be necessary to make it valid and effective. Terms and conditions of offers. 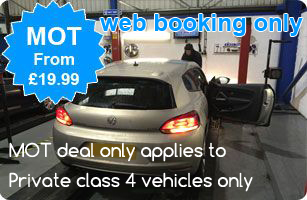 All offers are subject to approval, web offers can not be used in conjunction with any other offer or only one offer can be used at any one time, half price or discounted MOT offers are subject to retest fees if the vehicle fails and its taken else where for repair work, if the repair work is carried out in house there will be no retest fees, £19.99 MOT deal is only available for class 4 vehicle, for all other classes please call for current deals. 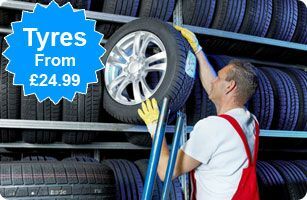 All advertised prices are minimum prices using value parts, prices will depend on the type of vehicle. The company has the right to cancel or decline any advertised or booked appointments. © Copyright 2013-2015 Brackmills MOT Centre Ltd.